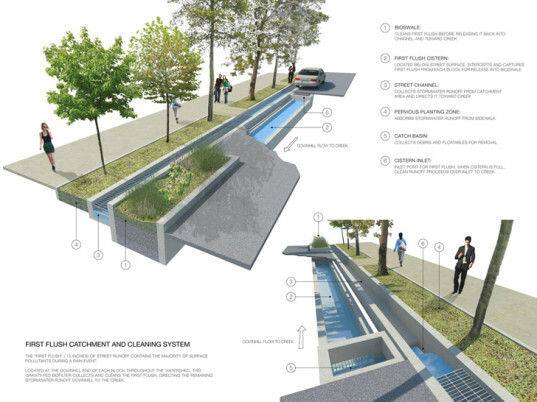 InHabit Interview: Rainwater Gardens for New York City? New York’s radical greening is becoming world famous, from the High Line to an overall, pollinator-friendly park’s initiative that is making all 5 boroughs more beautiful and more environmentally sound. Taking environmentally smart design to a whole new level, here’s an interview @ InHabit.Com with Ate Atema Architects about a bio-design idea that could radically impact water quality, CO2 emissions, and biodiversity, all in one, not-so-simple but very elegant living machine for the people of New York City.